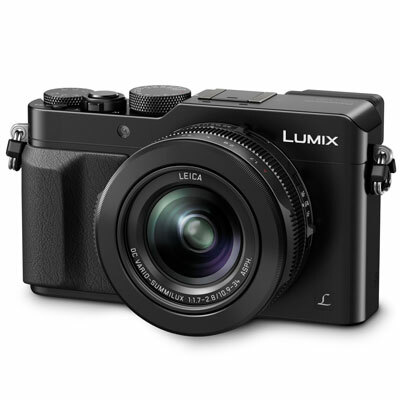 Designed to inspire and expand the creative potential of every camera enthusiast, the LX 100 comes complete with an exciting range of advanced imaging features. It encourages direct, intuitive control with dedicated lens rings and dials, including aperture and control rings for precise zooming and focusing, as well as speed and exposure compensation dials. It's now more rewarding than ever to render smooth, seamless gradations and rich, fuller textures in all their natural beauty. To help capture subtle details and nuances the LX100 incorporates a large 4/3-inch High Sensitivity MOS Sensor with multi-aspect ratios. By maintaining resolution at 12.8-MP (in 4:3 setting), the volume of light is controlled to improve the S/N ratio, making it possible to create clear, detailed images with minimum noise. Even when shooting at ISO25600. With a simple switch on the lens barrel, it's easy to select and set three aspect ratios. This quick, convenient function makes it possible to confidently record images in the 4:3, 3:2 or 16:9 aspect ratio with the same angle of view. With F1.7-2.8 brightness, high speed and crisp detail corner to corner, this sophisticated LEICA lens system is the perfect complement to the camera's compact body, and the key to innovative imaging. This precision lens unit consists of 11 elements in eight groups with five aspherical lenses - including two ED lenses. These lenses, together with a space-saving drive range, work seamlessly with Panasonic's original centering technology to enhance alignment sharpness. When combined with the large, high-sensitivity MOS Sensor, this lens configuration gives images a shallow depth of field with an impressive defocus effect featuring invisible edge lines and onion rings. And a newly adopted nine-aperture diaphragm helps produce breathtaking bokeh effects with smooth, circular shapes. With the LX100, new Depth From Defocus technology slashes focus time. It instantaneously calculates distance to subject by evaluating two separate image with different sharpness levels. The result is ultra-high speed AF in approximately 0.14 seconds. An integrated Live View Finder with 2,764-dot equivalent high resolution delivers approximately 100% color reproduction to assure stable framing and superb visibility when shooting under strong sunlight. And to prevent missing any shooting opportunity, the Eye Sensor AF initiates auto focusing the instant you look into it. A 3.0-inch 921k-dot rear monitor is also available. In addition to 4K Ultra HD video recording, the LX100 also has the ability to grab 3840 x 2160 MP equivalent stills from 4K video footage to enlarge and print high-definition photos. Once 4K Photo mode is selected, the luminance level is adjusted to 0-255, suitable for photos. At the same time, you can also select 4:3 or 3:3 in addition to 16:9 with the aspect ratio switch. The LX100 not only has the advantage of shooting QFHD 3849 x 2160, 30fps /24 fps in MP4, it also has the ability to use 4K video as high-speed burst shots, and extract spontaneous moments with 8-MP resolution. Plus record Full-HD 1920 x 1080 60p video in AVCHD Progressive or MP4 format. 4K video can be recorded for up to 15 minutes. When recording in 4K, use a SD card rated UHS Speed Class 3. Motion pictures in AVCHD can be recorder for up to 29 minutes, 59 seconds. Motions pictures in MP4 (FHD/HD/VGA) can be recorded for up to 29 minutes, 59 seconds, or up to 4GB. A highly practical, color coordinated, easy-mount external flash unit (GN10 ISO200 o m/GN7 OISO100) is included. The Aspect Bracket enables the LX100 to simultaneously create an image 4:3, 3:2, 16:9 and 1:1. A White Balance bracket is available to record three images with different WB parameters at a single shutter release. The Monochrome Filter (Ye/Or/R/G) in the Photo Style function easily creates rich, smooth expression from the limited hues of monochrome images. This versatile function enables the camera to shoot four exposures in a single frame, and to layer subjects that wouldn't ordinarily appear in the same frame. Expressive, Retro, Old Days, High Key, Low Key, Sepia, Monochrome, Dynamic Monochrome, Rough Monochrome, Silky Monochrome, Impressive Art, High Dynamic,Cross Process, Toy Effect, Toy Pop, Bleach Bypass, Miniature Effect, Soft Focus, Fantasy, Star Filter, One Point Color, Sunshine. Using the Panasonic Image App, any photographer can use a smartphone or tablet to set focus and shoot photos and video remotely. Instantly upload and share images on social media on a smartphone or tablet with the Panasonic Image App too. To instantly sync a NFC-compatible smartphone or tablet, simply touch it to the camera, or scan the QR code displayed on the camera monitor to sync. Easily tag location information to the image by using the GPS log on a smartphone or tablet and share it to your favorite social media site.